It is a great Indian restaurant! Must try. Chicken tika masala was flavorful amd so tender the chicken could be cut with a fork. Tried the beetroot halwa for dessert and it was so good! The only regret was the bartender hasn't been replaced, and they could only do simple drinks. Definitely would go back. Authentic indian food. Parking lot across street now open! Excellent food and great recommendations from the server! Would definitely come back! This food was very delicious and spicy. The staff was very friendly and smiling. Would love to try more items from the menu. The food here was fantastic as was the service. We will be back again! I did go to Dharani Indian Restaurant on Main St Woburn MA. I brought my paper copy and I don't think he knew what to do with it. I just re-read your instructions on how to use the Smart Phone email copy. The restaurant was nice enough to apply the $15 discount regardless. That was really kind of them. 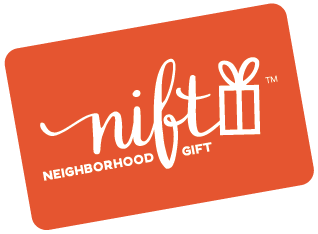 I have never used Nift before & didn't understand how the vendor gets paid. We liked the food we ordered. However, many of the drink list options were unavailable, to our dislike. Additionally, our server was only attentive to 50% of the table. The staff was exceptionally nice & accomodating. The food was delicious! Very fresh & tasty. Went to the Wednesday evening buffet. Tasty! Not exactly your usual Indian restaurant - the South Indian cuisine has a slightly different taste. Overall good experience, we liked the steakhouse feel of the place, nice dark booths, beautiful bar. Great drinks! I wish the waiter was giving more info on the food before I placed my order, though, he couldn't really explain what the diffeences wee in the different foods. And there's no kids menu, which is a big minus. Loved the yummy food and great service! Pleasant service and good food.